We are an award winning Darwin based building company specialising in custom new home builds, extensions, renovations, and granny flats. Prioritising personalised service from our passionate and experienced team, we are here to create your vision and offer the right advice to reach your desired outcomes. SAR Contracting are a local Darwin Bathroom, Kitchen, Home Renovations and Extensions Multi Award Winning Specialists Company which began in 2005. It is owned and run by husband and wife team Steven and Debra Robinson. The company began as a one man company and has grown to include a team of professionals and sub contractors to ensure your renovation is of the highest quality. Bendella Group is a award winning small family business. We offer flexibility at an affordable price. Why build a house other want when you can customise it to suit your needs and or budget. We offer house and land packages, off-the plan homes and or fully customised options. We have a wealth of experience to share and offer full service to clients to help them build the home they are after. Our home are built to meet to set quality standards and we offer and promote open communication throughout your build. Whether you are building your first home or looking for a change, we can help find the house for you. 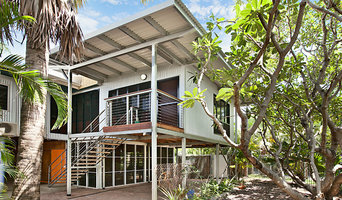 Sensu Homes builds tropical homes that are designed for the Darwin climate. We don't build concrete hot boxes! All our houses use suspended floors and carefully placed openings to promote cross breezes, with a focus on indoor-outdoor living. Precision Group is Darwin’s leading construction and maintenance provider specialising in servicing the Government and Commercial property sector. Our expertise extend across the broad range of building and maintenance services and we have a track record and reputation for quality and focus on delivering quality building and maintenance services to the government and commercial sector. Managing Director, Chris Kantros, is proud to be Darwin born and bred, and Precision Group is a strong supporter of the local community. Precision Group has a proactive management team in place, strong administration and scheduling capabilities and a team of tradespeople with the skills, capacity, and capability to deliver. With a proactive approach to recruitment and a strong focus on supporting Indigenous Australians, we are able to secure the best talent in the industry to ensure we remain an industry leader. With over 35 years of building prestige homes we will help you through the process of finding the dream block of land, choosing the perfect home to suit and custom designing the home to suit your budget. With each client we meticulously create the perfect home, one you can be proud to live in for years to come. Whether you’re undergoing home renovations or building from scratch, hiring the right home builder is essential. Your choice will determine the quality of craftsmanship, as well as how high your stress levels rise! 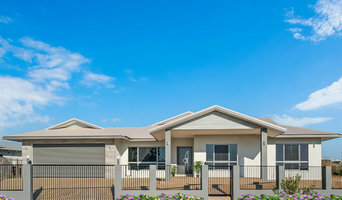 A home design or building project is a huge and multifaceted undertaking, so it’s important to find a local Darwin, Northern Territory builder you can trust to bring your vision to life and keep the process under control. The Houzz professional directory of home builders is a great starting point to choose the right builder for your needs. 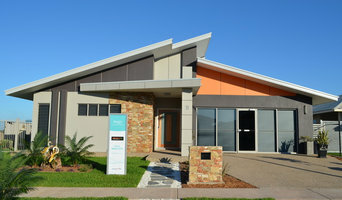 What exactly do Darwin, Northern Territory home builders do? 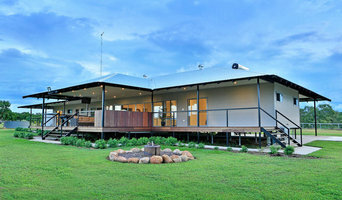 Before any nails are hammered down, construction companies perform market research to determine whether the prospective site for a new home in Darwin, Northern Territory makes sense. They also survey the land to make sure it is suitable for construction, and obtain any necessary Northern Territory permits. 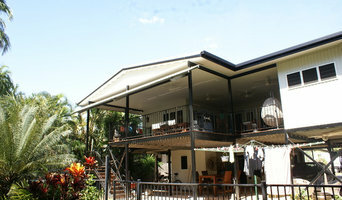 Scroll through this page to find contractors in Darwin, Northern Territory. Then, click on a professional to browse photos of their latest projects and see how their work compares to the scope of your project. Read reviews to see how other homeowners rate their work, and message the home builder or construction company directly to ask any specific questions.